Digital Managers and Marketing Executives who want to do more that just attract visitor traffic to their websites. Once you have visitors – now what! That’s the goal of this morning programme – to give you an overview of many of the most effective techniques for converting website visitors into living, paying customers. The morning will cover the different types of digital value propositions, how they can be leveraged on pre-capture landing pages as well as nurturing landing pages. How to critique and improve landing pages for optimum performance and tracking analytics in the sales funnel. This one morning course is an interactive workshop featuring live demonstrations, supported with slides and interactive discussion. A download link for supporting slides and other reference materials used during the workshop will be emailed to participants after the course. CONVERT – A KEY REASON WE DO DIGITAL! Most companies are aware of the need to improve conversions on the company website. So many of these website have been described in the past as “brochure websites”, whereas such a description could not be further from what is possible even on th simplest of websites. A brochure cannot independently attract and interact with its audience, it cannot capture contact information in exchange for a compelling piece of information that is a genuine value to your customer and it cannot issue instructions to your email system to trigger an auto-follow-up response to an identified prospect – with more landing pages as supporting value in the process. How is a conversion defined in your unique business? Understanding the sales journey of your prospect to help you align value at the right time. What makes an effective “Landing Page”? What should you test? How should you test it? Can an email lead nurturing campaign exist without the support of dedicated Landing Pages? What should a nurturing campaign look like? What is a Capture Proposition? How many should you have? If you wish to avail of the special two person rate of €250 each, please just register as normal here and close your browser window when you reach PayPal. 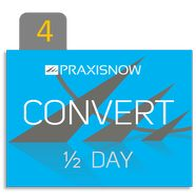 CANCELLATION POLICY: Should you need to cancel you place on a pre-booked course, PraxisNow will issue a full refund up to two weeks in advance of your cancellation. Please note that refunds cannot be issued should you cancel within two weeks of the commencement date of the course for which you have registered. If you are unable to attend, you may either nominate a replacement participant or you may transfer to a future scheduled programme provided it occurs within six months of your cancellation date.